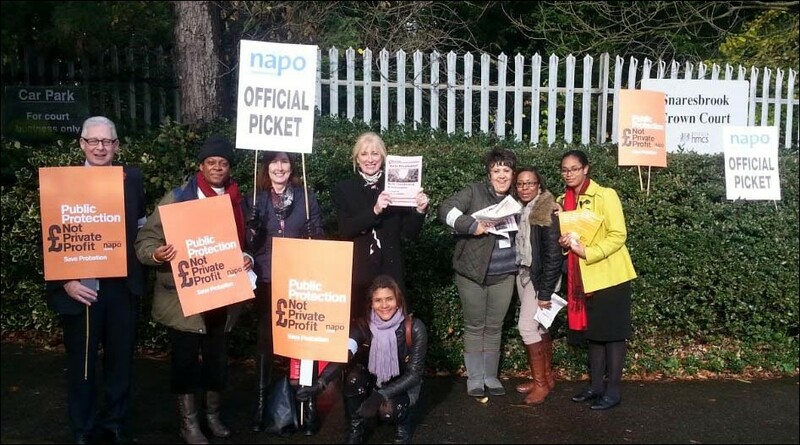 SUPPORT THE PROBATION OFFICERS STRIKE! "The impending implosion of the Probation Service"
Of the many and varied problems thrown up by the banking crisis the piss poor performance of the Probation Service is not one of them. In fact, the Government's own figures show that all of the 35 Probation Trust Areas were either "Good" or "Outstanding" when measured against the Government's targets. "Shucks" said Tory Robot, Chris Grayling to himself " but hey never let the facts get in the way of a surefire winner. Probation needs a radical overhaul because - er - I say so! OK so I know absolutely nothing whatsoever about Probation but what's that got to do with the price of eggs? Anyway I'm breaking the eggs because I'm making an omelette - and anyone who says I can't cook or says they don't like my omelette won't be invited to the party where I divvy up the half of the Probation Service which is going to be privatised". If you think that the above is away with the fairies the original plan was even worse! Grayling's initial bright idea was to hive off 70% of the Service - this number being arrived at on the "think of a large number between 0 and 100" principle. It mattered not that privatisation in any form was devaluing the work of a small but important part of the Public Sector. However parcelling off 70% of anything is obviously ridiculous. So who was going to tell the Emperor about his clothes - or rather the lack of them? Well very few as it turned out. The main challenges came from NAPO and UNISON and to a lesser extent the Boards of 3 Areas - Leicestershire and Rutland, Derbyshire and Warwickshire- who wrote to Grayling ask for implementation to be delayed. After months of burying his head in the sand Grayling eventually conceded that he couldn't sell off 70% so had to settle for 50%. Probation Trusts whose ranks include placemen, cap-in-hand chancers, self-important academics and the like simply bottled it. These employers of Probation staff ultimately had no commitment to the cause, abdicated all responsibility to staff care and cravenly capitulated when told to do so by Grayling and his cronies. 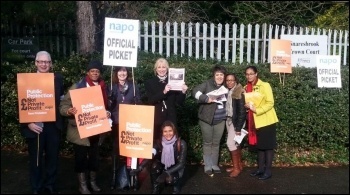 NAPO and UNISON have endeavoured to work together but have been going at different speeds - NAPO has been going slow and UNISON slower. 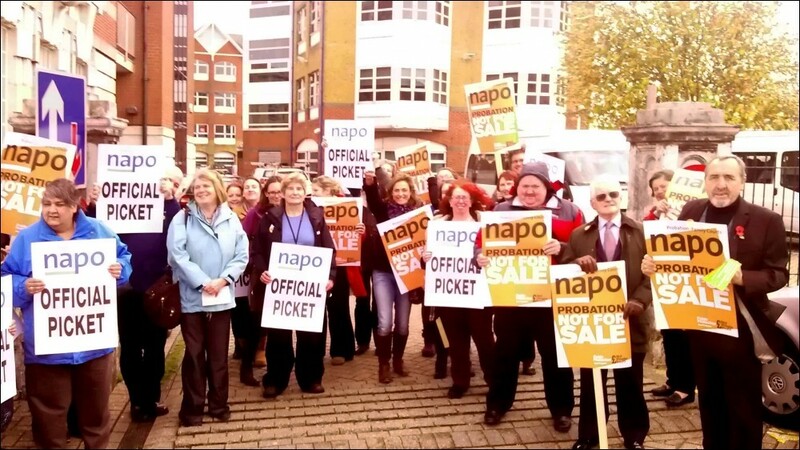 NAPO is working to rule, has had a one day strike and starts a one and a half day strike at 12.00 midday on 31st March 2014. This industrial action is aimed at stopping the changes happening but without an escalation in industrial action along with a reinvigorated campaign to save Probation it is likely that the sell off of half of Probation will go ahead. Labour's Sadiq Khan has promised to rip up any agreements with private sector organisations if Labour wins the general election but whether Ed Miliband would have the stomach for this is highly unlikely in my view, given that he has not exactly been at the forefront, up to yet, of the fight to save Probation! The Probation Service supervises offenders on Court Orders and also on Licence as part of a custodial sentence. All offenders are assessed as to the level of Risk of Serious Harm that they present. In the new arrangements, High Risk and Very High Risk offenders will be supervised by the National Probation Service(NPS). Medium and Low Risk offenders will be supervised by Community Rehabilitation Companies (CRCs). The assessment of risk of serious harm is exactly that - it is an assessment not an exact science. Yet Chris Grayling is happy to carve up a national asset based on such assessments. He does not actually value the work that is being done - with offenders to help them improve their lives, with other agencies to try to reduce levels of offending, safeguard children and provide information to victims (or victim's families) of serious crime. Instead he is prepared to take risks because he says this will save some public expenditure and also because it will provide opportunities for the private sector. Grayling is glossing over the fact that in order to establish the NPS and the 21 CRCs (!) there will have to be additional bureaucracies to oversee the transfer of offenders from one side to the other. This is because the assessment of risk is not static and thus there will be additional management and administrative activity to attend to this. So much for the Tories and their love of lean management theory - Grayling's new organisations will haemorrhage money on actions that do not add value. In summary, Grayling has cocked it up on a massive scale. People who were powerful enough to stand up to him, bottled out and did not do so. 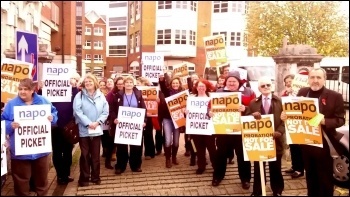 The 2 main Unions, NAPO and UNISON , have mounted resistance but not enough and they have not coordinated their efforts. Labour has been very weak - methinks they do not protest enough! The losers are the public, public protection and the public sector. Of course, the winners are the hyenas currently circling around awaiting the scraps that will be left when the Probation Service has been killed off. NB 2 especially naught hyenas - Serco and G4S - are not currently allowed to bid because they have been far too greedy elsewhere. This is scant consolation because there are plenty of other parasites waiting in the wings prepared to say all the right things in the knowledge that they will get a sizeable piece of pie. Bastards!